Widespread flooding and devastating mudslides brought on by Cyclone Mora and monsoon rains across southwestern portion of Sri Lanka have affected 15 districts, killed at least 203 people and left more than 600,000 people temporarily homeless. The death toll is expected to rise as authorities’ battle to rescue those still stranded and warn of the possibility of crocodile attacks. The UN warned that with an increasing number of displaced people and a lack of space in temporary shelters, many people were at risk of disease. Sri Lanka has seen a significant increase in mosquito-borne dengue fever this year, with more than 125 deaths. Al Jazeera’s Charles Stratford, reporting from Kalutara city, said residents were still without access to water and electricity and heavily reliant on voluntary services. Foreign Minister, Ravi Karunanayake, met foreign envoys in Sri Lanka and appealed for assistance. He said 24 countries have already extended help. The UN, India, Australia, Japan and Pakistan are among those that have donated supplies, including water purification tablets and tents. The United States and China also pledged relief. “In the capital, shops and supermarkets are running out of supplies as people are coming in and hoovering up items,” he said. 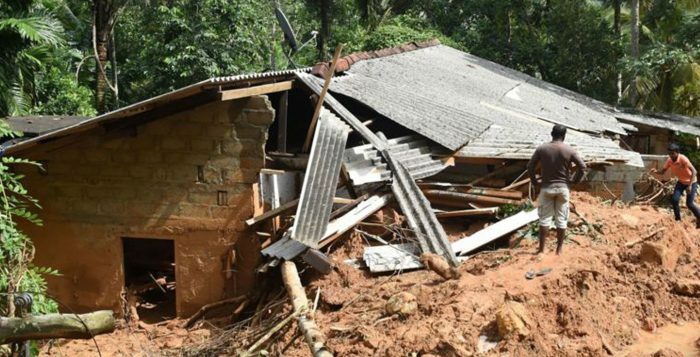 Mudslides have become common during Sri Lanka’s summer monsoon season as forests across the tropical nation have been cleared for export crops such as tea and rubber. Community World Service Asia Response: Community World Service is in contact with the partners in Sri Lanka on getting the updated information on the latest situation. It is closely monitoring the crisis and will devise a response plan accordingly.